I’ve been on a confidence kick lately. From my experience as a freelancer, I’ve learned that it takes more than good content to become a published writer. You have to learn how to stand up to rejection. You need to learn how to pitch. When you’re getting started (at anything, really), you’re scared. You’re insecure. You don’t want to come off as some kind of arrogant jerk. So what do you do? You say “no” for other people. And this is absolutely the best way to get rejected. Whether you’re applying for a job or asking someone out, you begin by assuming the answer is “no.” You lower your expectations. So that if the person does happen to say “yes” (which you know they won’t), you’re elated. This is stupid and cowardly. But for some reason, we do it all the time. We shoot ourselves down before someone else can. We call it humility. But really, it’s fear. We’re afraid of getting “shut down,” so we do it to ourselves. We do it so that someone else doesn’t have to. We begin with an apology or a you-don’t-have-to-clause. We say “no” long before we have to hear it. Recently, I’ve received a number of requests for guest posts or getting together for coffee. Most have begun with a “You’re probably too busy” or “I know this won’t happen” statement. I know why they’re doing this. They’re trying to take the pressure off, make it seem casual, like they don’t have too much vested in how I respond. But I have to tell you: Such self-deprecation only makes me want to reject them even more. I used to do this all the time, for no reason except that I was just plain “chicken.” But when I really started making big, audacious asks without apology or self-rejection, something strange happened. People said yes. And I realized I didn’t need to say “no” for other people. That was their job. What if you did something crazy? What if you stopped asking and started inviting? Imagine if you believed that about your work, that you actually saw it as an amazing opportunity you were letting someone else in on. What would that change for you? And if you can’t think of your “ask” in terms of opportunities that people wouldn’t want to miss, then maybe you need to focus on doing more remarkable work. If your work is less than amazing, you should be scared to ask. But don’t let that stop you. Use the fear to make the art better, to make the work worth noticing. Whatever you do, stop rejecting yourself before others can, believe in the work you’re called to do, and invite others to join you. They could say, “no.” That’s it. That’s as bad as it gets. Sounds a lot scarier in your head, doesn’t it? And it’s really not that bad of a word, once you get used to it: no. I hear it every day. In fact, I got rejected last night after pitching a website on an idea they initially liked but decided not to use. After two weeks of radio silence, they shot me down. First, I felt sorry for myself and started whining to other writers, looking for affirmation. But do you know what that did? Nothing. It didn’t make me feel better, didn’t change my situation. It only reinforced my own sense of inadequacy. So I decided to do something constructive: to rewrite that piece. I used rejection as fuel and got back to work. 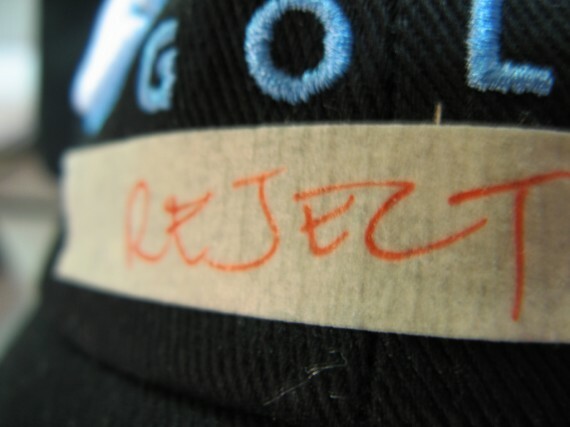 If you’re not getting rejected, you’re not in the game. If you aren’t failing, you’re not trying. If aren’t getting turned down, you’re not asking. And if you aren’t risking, you’re not living. Time and time again, we read that success comes from failure. Yet, in our own lives, we avoid it like the plague. We play it safe, never risking too much. And our souls shrivel in the shadow of mediocrity. Put yourself out there every day. Yes, you will get rejected. You will be turned down, shut down, or even fired. But every time, you will get stronger and better. So remember that these rejections are reminders that what you’re doing is worth something. And that should be reason enough to keep going. Do you say “no” for other people or reject yourself before they can? Share in the comments. refreshing. Your blog conclusion could accelerate your shoppers. written work style helped me to peruse it without any trouble.